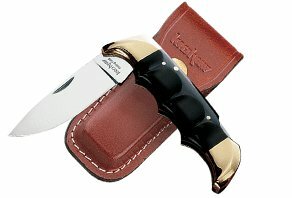 Kershaw Folding Field Knife. 4 3/4" closed lockback. AUS-8A stainless drop point blade. Solid brass frame with finger groove contoured black phenolic handles. Brass bolsters, pommel and rivets. 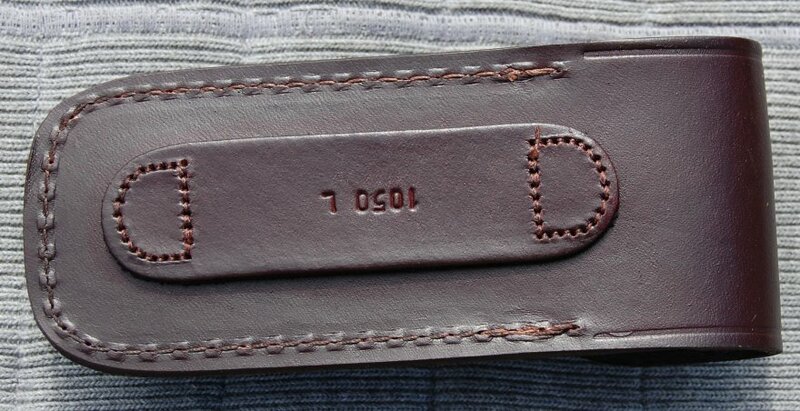 Comes with top quality harness leather sheath.